Ranjith has 17+ years experience in Computer Vision & Image processing including 10+ years experience at Texas Instruments. Ranjith founded Uncanny Vision with the vision of enabling visual intelligence to millions of IoT devices. Navanee has 18+ years experience in IoT devices including 11+ years experience at Xilinx. Navanee has experience in working with hundreds of customers worldwide in enabling them to make IoT devices smarter. Sankar has 18+ years experience in Image Processing & Computer Vision including senior leadership positions at Samsung R&D and Ittiam. Sankar has delivered path breaking patented products used by millions of users worldwide and is instrumental in building Uncanny Vision’s AI products with unprecedented accuracy & performance. Deepa has 19+ years experience in IoT devices including 9+ years experience at Cypress Semiconductors in project managing large worldwide teams. At Uncanny Vision, Deepa brings her passion to building a world class organization that delivers products on time & with high quality. 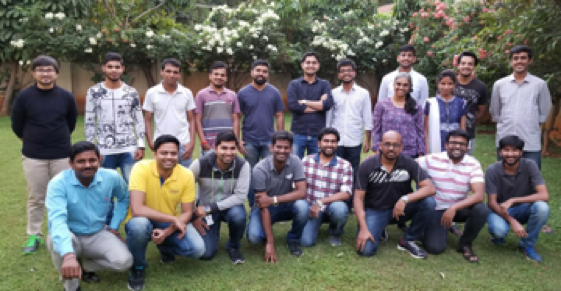 Suchith brings his entrepreneurial expertise in developing low-cost IoT devices to Uncanny Vision and is instrumental in rapidly deploying & scaling multiple vision products in the field. Dr. Praveen (IITM) has 25+ years experience in AI & Robotics and 20+ years experience in embedded systems business in Japan. Kimura-san has 30+ years experience in Sales & challenging computing applications in Japan and has worked closely with large enterprises in USA, India & Japan. The strength of Uncanny Vision is its people and has attracted incredible talent and is rapidly growing. If you are interested in developing world-first AI-based vision products, contact us at jobs@uncannyvision.com.